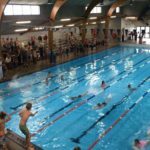 Sport Whanganui are proud managers of the Whanganui Splash Centre, Whanganui East Pool and Wembley Park. We have an experienced management and operational team. Sport Whanganui has Council partnerships across the Whanganui, Ruapehu and Rangitikei Districts. Of particular note is the Whanganui District Council and Sport Whanganui partnership to lead implementation of the Whanganui Sport and Recreation Strategy.